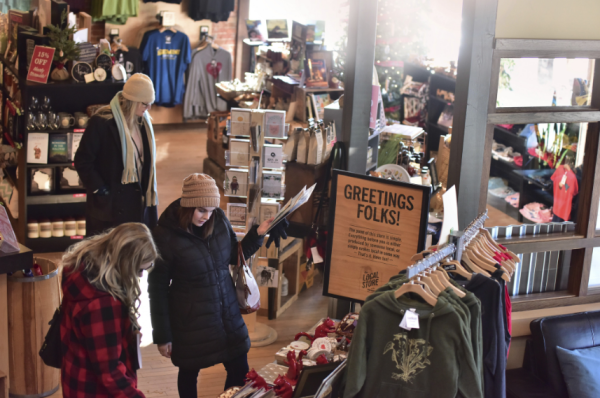 No local shopping spree is complete without a stop at The Local Store, located in the Volume One World Headquarters in downtown Eau Claire. 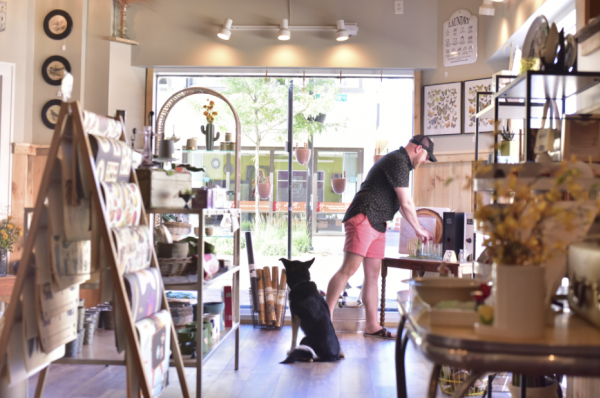 With everything from books to apparel to candles to dishware, The Local Store features a carefully curated selection of products made in the Chippewa Valley and surrounding area. You&apos;ll find something for everyone! Downtown Eau Claire&apos;s newest retail boutique, Raggedy Man sells fun and affordable items for all ages and all occasions. Unique items you won&apos;t find anywhere else, including baby toys, greeting cards and home decor fill Raggedy Man&apos;s shelves. Be sure to say hi to Kaya, the owner&apos;s sweet dog. She loves tummy rubs! 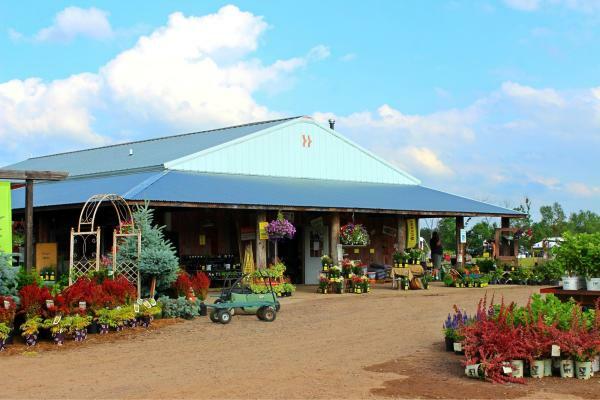 Part of the Down to Earth Garden Center, just off of HWY 93 in Eau Claire, Mustard Seed Boutique is a new business offering beautiful women&apos;s clothing, home decor items and wonderful products made by local vendors, including the locally produced Melnatural skin care. While you&apos;re there, be sure to grab lunch next door at the Five & Two Cafe! Another downtown Eau Claire must stop shop is Tangled Up in Hue. An art collective supporting the talents of over 100 Wisconsin artists, Tangled Up in Hue could easily take care of everyone on your list. Screen-printed T-shirts for all ages (the baby onesies are so adorable), stunning stained glass art, knitwear, wood and glass home goods and decor, jewelry, wall art, pottery, candles, body care-every item lovingly crafted and unique. 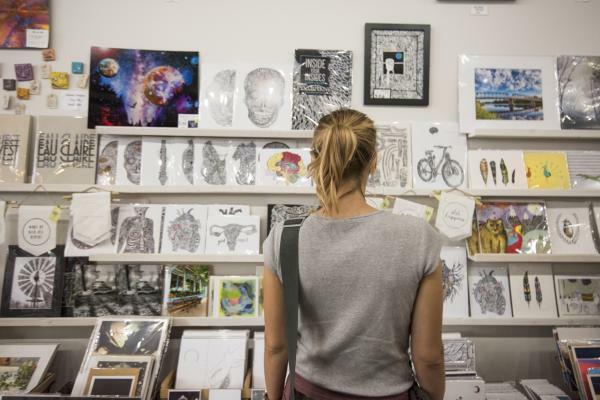 Eau Claire Insider Tip: If you&apos;re crafty and creative, and like to make gifts yourself, pop across the street to Tangled Up in Hue&apos;s sister store, Blue Boxer Arts, to pick up high-quality supplies for knitting, jewelry making and more! Replenish your energy with coffee and treats at Shift Cyclery & Coffee Bar! 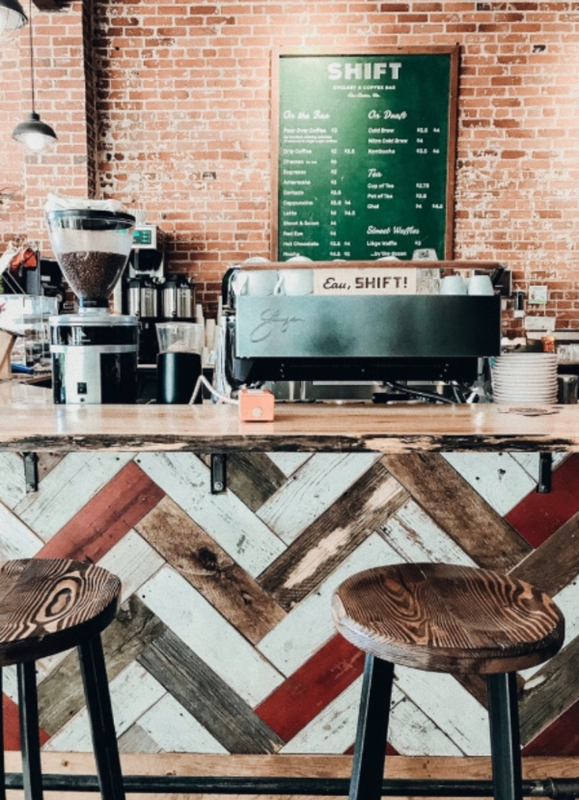 Shift offers delicious craft coffee drinks, delightful pastries such as their famous Liege waffles and scones and a full-service bicycle repair shop. Check your list twice, because Shift also carries logo gear such as T-shirts and coffee mugs and all the gear needed for safe and stylish biking, such as helmets and bells. Their gift cards also make excellent stocking stuffers. Now that you know some of our top places to visit for Small Business Saturday, share with us some of yours! Post in the comments below, or if you&apos;re on social media remember to tag your photos #CaptureEC. Shop small, shop local!